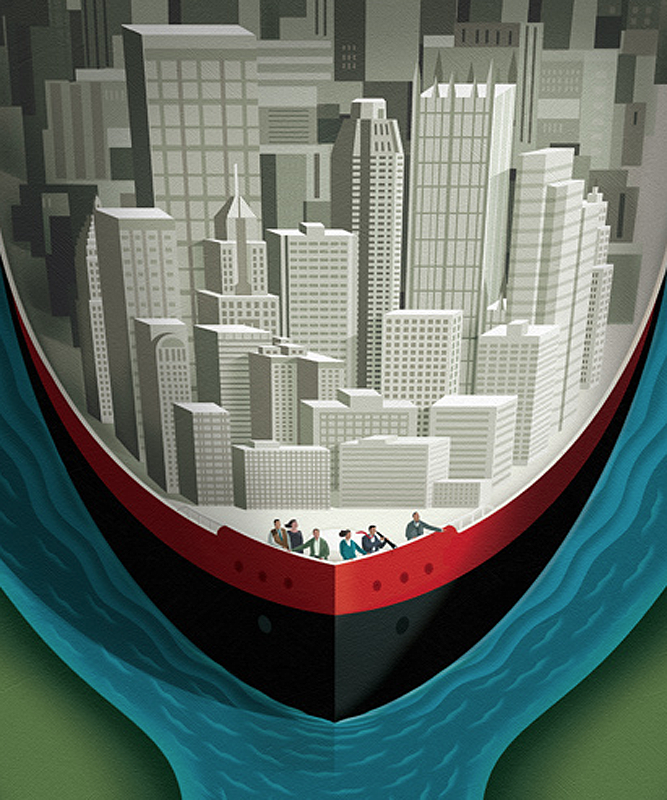 George Schill created this conceptual illustration with the idea of navigating Pittsburgh’s future. 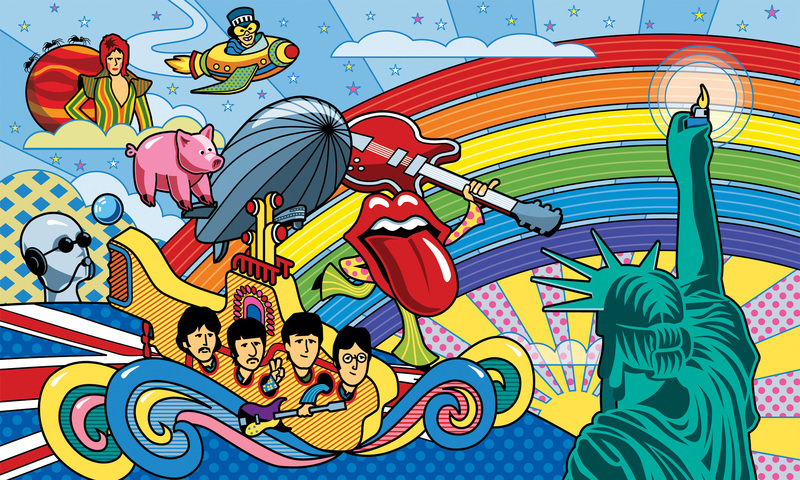 Check his portfolio for more conceptual art! 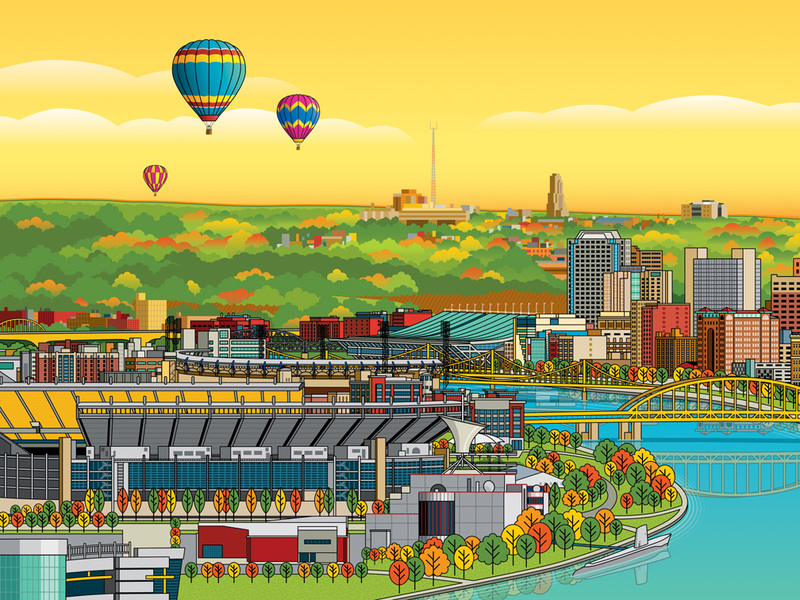 Ron Magnes created this Summer Adventure Map for Carnegie Museums of Pittsburgh. Members collect stamps when they visit which give them a chance to win prizes and also help them visit all the fun places in the Pittsburgh area! Ron Magnes was commissioned to illustrate two fine art illustrations by a design firm for their client – PPL EnergyPlus. 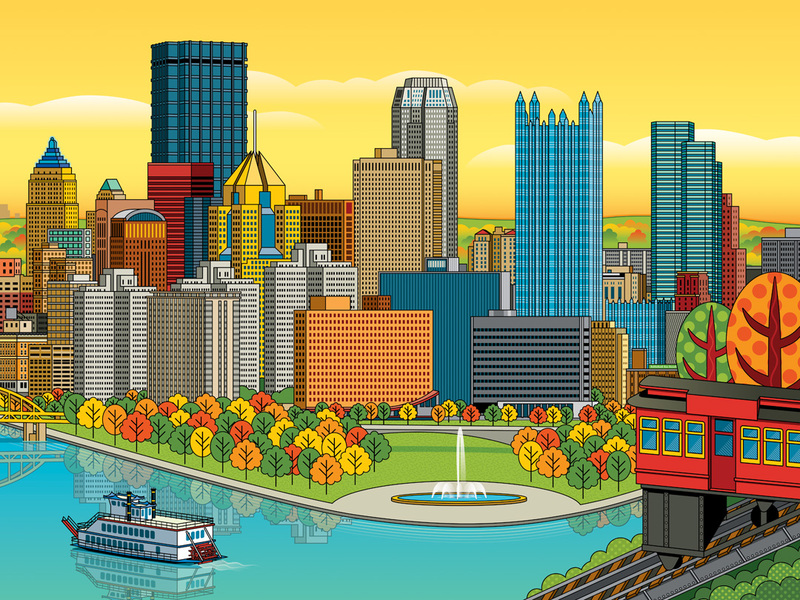 Since the energy company recently opened an office in Pittsburgh, the idea was to give the signed prints to their special prospective clients. The first print highlights the city and the second print shows the north shore. A very successful campaign!